I’ve been posting Sandro Del Prete’s optical illusion artworks for a long time. Today I bring you one of his awesome impossible paintings, not so many people even heard of. Now little bit of Sandro’s biography. Sandro Del-Prete was born in 1937, and is a Swiss artist who paints figures, situations and processes that cannot exist in the real world. 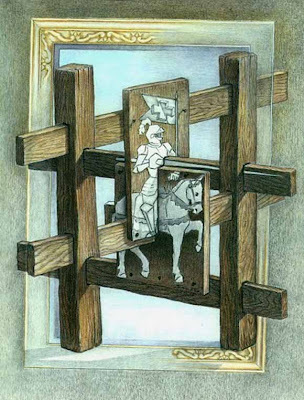 Comparisons can be drawn between Del-Prete and Escher’s artwork, although they differ in subject matter, style, mood and technique. Del-Prete greatly admires Escher and believes that they are ‘kindred spirits’, however the viewer will find very little mathematical precision in Del-Prete’s work, something that is always present in Escher’s work.